Penny Craswell is a Sydney-based editor, writer and curator specialising in design and architecture. She is Creative Strategy Associate at the Australian Design Centre (ADC) and Co-Director of Sydney Craft Week. A former Editor of Artichoke magazine, she has also worked as Deputy Editor of Indesign magazine, an editor at Frame magazine in Amsterdam and Communications Manager at Woods Bagot. In 2017, Penny received the Dean’s Award for Research Excellence for her Masters of Design at UNSW Art and Design researching design narratives. 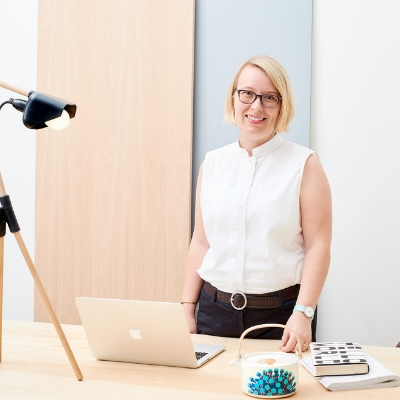 She is currently working on a book on Australian architecture and furniture/lighting design for Thames and Hudson and her blog is The Design Writer.